Daily fees for all lots is based on 24 hour cycles from entry time stamped on ticket. 30 minutes FREE parking in all public pay lots for meeting, greeting and luggage pick-up. The Charlottesville Albemarle Airport is pleased to offer its customers convenient parking options. 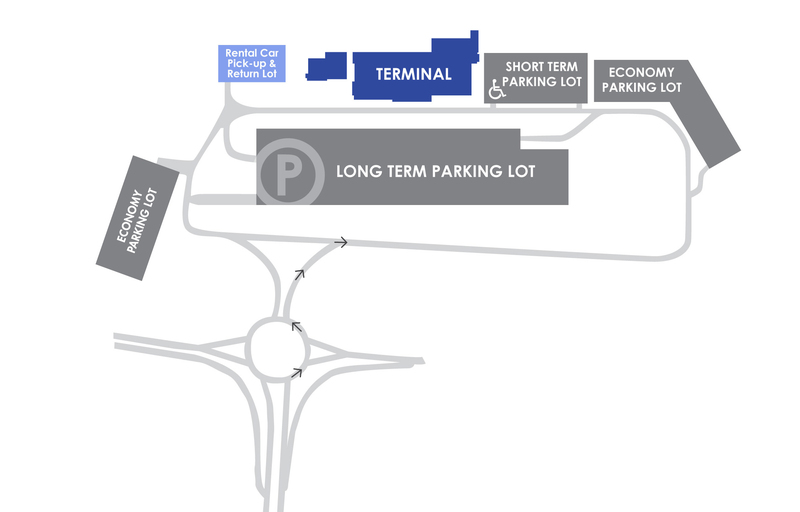 All lots are located convenient to the terminal building. Elevator service is provided from the Long Term Lot for convenient luggage transfer. The Short Term and Economy lots are automated, credit card only lots. 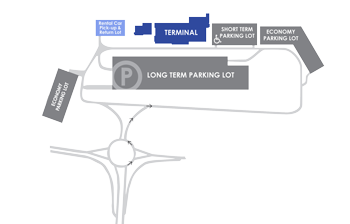 Cash payment options for these lots are available only in the baggage claim area using our Pay-On-Foot paystation. ALL Handicapped parking is located in the Short Term Lot. 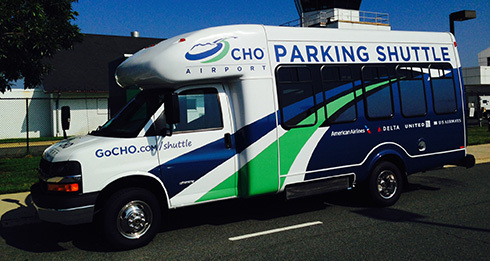 CHO is operated exclusively through revenues generated by airport activities. Your parking fees are specifically dedicated to operating expenses for CHO as well as to finance future parking expansion projects. For questions regarding parking at CHO, please contact the administrative office at 434-973-8342 or email Stirling Williams, Director of Landside Operations at swilliams@gocho.com. For your convenience we offer a parking shuttle. The shuttle operates in our parking lots throughout the day and night, concentrating on peak arrival and departure times and can be reached during business hours at 434-906-5171, if you need assistance. Contact us for more information.